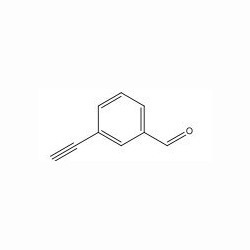 We are engaged in providing our clients with quality approved range of 3-ethynyl benzaldehyde. These are hygienically formulated by our expert professionals in accordance with the defined norms. Highly demanded by our clients, these are safe, pure and accurate in composition. Further, we also have the facility to customize our entire range of chemicals in order to meet the ever growing demands of our clients.